DESCRIPTION FROM THE PUBLISHER: When Sofi walks through her barrio to the local store, she always passes a huge mural with images from Puerto Rico: musicians, dancers, tropical flowers and—her least favorite—a vejigante, a character from carnival that wears a scary mask. One day on her way home from the bodega, she stops in front of the mural. Is one of the dancers inviting her to be his partner? “Okay, let’s dance,” Sofi giggles, and suddenly she’s in Old San Juan, surrounded by dancers and musicians playing bongos, tambourines and güiros. She begins to dance and sing with her new friends, but her pleasure turns to fear when the vejigante—wearing a black jumper with yellow fringe and a red, three-horned mask—spins her around and around! What does he want from her? How can she get away? MY TWO CENTS: In this debut bilingual picture book, author Raquel M. Ortiz and illustrator Maria Dominguez capture the story of an imaginative girl and her magical and musical encounter with a neighborhood mural. Inspired by a mural located in South Bronx, New York, Ortiz and Dominguez give us a story that celebrates Puerto Rican traditions, community-based art, and city life. Our young protagonist Sofía is lying on her bed feeling pretty bored. Her mom asks her to go to the bodega at the end of the block to get some milk and to remember that she should “not talk to ANYONE!” Sofía gets her scarf and coat, nods to her mom, and embarks on her journey to get the half-gallon of milk. Strolling along the sidewalk, she looks at the huge mural painted on a nearby building. She is stunned by its size and the colorful images of musicians, dancers, amapola flowers, and her least favorite, a vejigante. While returning from the bodega, Sofia can’t help admiring the mural once again. This is when she notices that one of the musicians, a plenero, is extending his hand to her to dance, breaking the wall between reality, art, and imagination. In a heartbeat, Sofía finds herself inside the mural, starting a whimsical experience that will bring her close to her Puerto Rican heritage. Reading and seeing images of things that I grew up with put a smile on my face. From the plena song “Porque la plena viene de Ponce, viene de barrio de San Antón” to the carnival song “¡Toco-toco, toco-toco! ¡Vejigante come coco!”, I couldn’t help singing along with all the plenas and remembering the presence of plena songs in family gatherings, “navidad” parties, cultural “festivales”, carnivals, and even street protests. No wonder it is known as the “periódico cantado” (sung newspapers), telling everyday stories all year long. We also meet the famous vejigante, wearing its colorful outfit and a scary mask made from coconut shell (although some are made from papier-mâché). The vejigante is a mischievous folkloric character that resembles a buffoon or the devil, and which became a symbol of Puerto Rican cultural identity. In the story, Sofi plays and dances with the vejigante that she once saw as scary. She ends up wearing his outfit and flies around the Puerto Rican landscape going through El Yunque rainforest, and landing at the church plaza in Old San Juan. 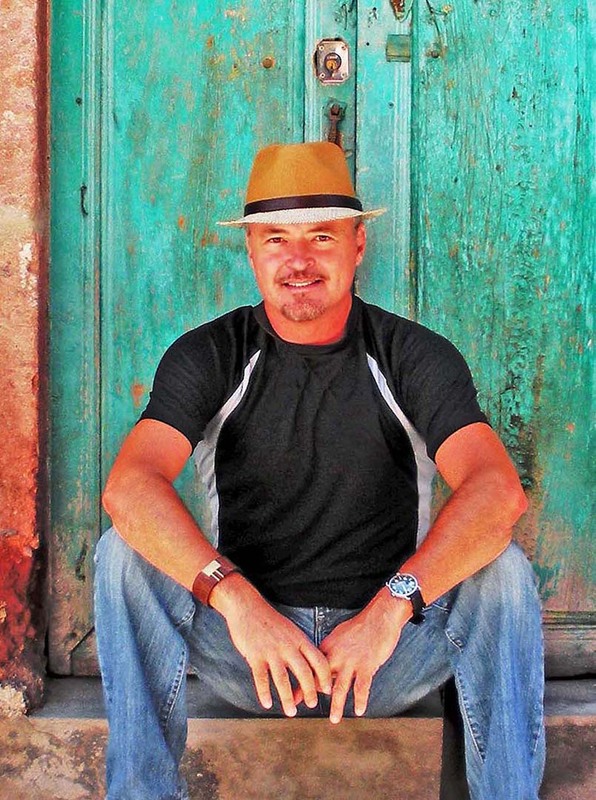 Here the author metaphorically portrays how through art, music, and traditions we can “fly” to the island of Puerto Rico, and demonstrates the deep connections that exist between the Puerto Rican diaspora and the island. In terms of layout and illustrations, the bilingual text is located on the left side of the book with small illustrations dividing the English and Spanish texts and whole-page illustrations accompanying the text on the right side. The illustrator based her design and images on the original mural and conversations with the students that drew the images for mural. From soft colors for the city and bright and vivid colors for the mural, Dominguez’s paintings transport us from a wintry day in New York City to a sunny day in Puerto Rico. Using The Pueblo Sings/El Pueblo Cantor mural as an inspiration for this picture book communicates the power of art, music, literature, and images to represent a community and tell its stories of resistance. The 7th- and 8th-grade students that designed the mural embraced the process of community building, public art, and history. It was created with and for the Puerto Rican community that has lived in New York City for decades. The mural’s statement is about the existence of the people and is a representation of their stories. It brings identification to the neighborhood and informs visitors about the living, breathing community located there. It is exciting to see the author centering the narrative on a young Puerto Rican girl who experiences this connection with her culture, traditions, and family, and then back to herself. In so doing, this book gives a powerful testament to how children can experience these connections and embrace them as their own. The book includes author and illustrator biographical notes, a glossary, and information about the mural. 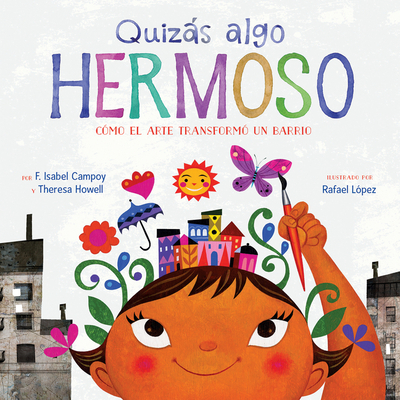 TEACHING TIPS: The bilingual picture book is recommended for children ages 4 to 8. It works as a read aloud and for early independent readers. At home or at the library, librarians, parents, grandparents or other caregivers can read the story aloud in English, Spanish, or both, while teaching new words, concepts and discussing the different images. Teachers can include the discussion of Puerto Rican history, traditions, and music in their curriculum. 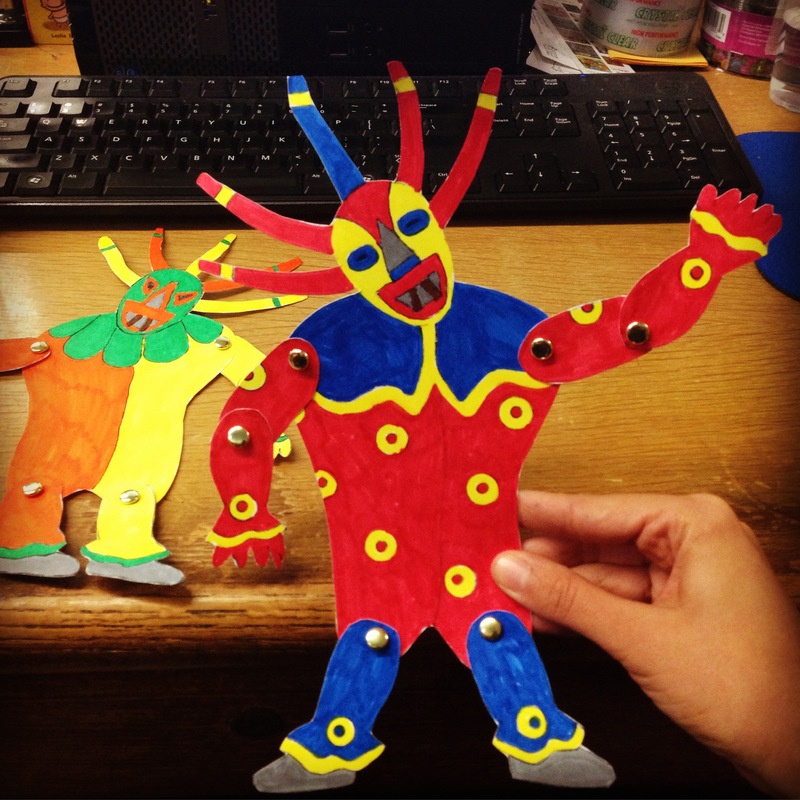 Vejigantes puppets I created for a library program. I explained to the children the meaning of vejigantes and how I grew up seeing them almost everywhere back in Puerto Rico. Since the main focus of the story and its inspiration is a mural, children can create their own small-scale cardboard murals. Adults should encourage children to use elements from their community or their personal or family stories as inspiration. Moving activities to the street, adults can stroll down the neighborhood with children to view community murals, posing such questions as: Who created this mural? Who is it about? What does it represent? Does it represent the community where it is located? What type of murals should our neighborhood have? This will create a conversation about public art, public space, and community. 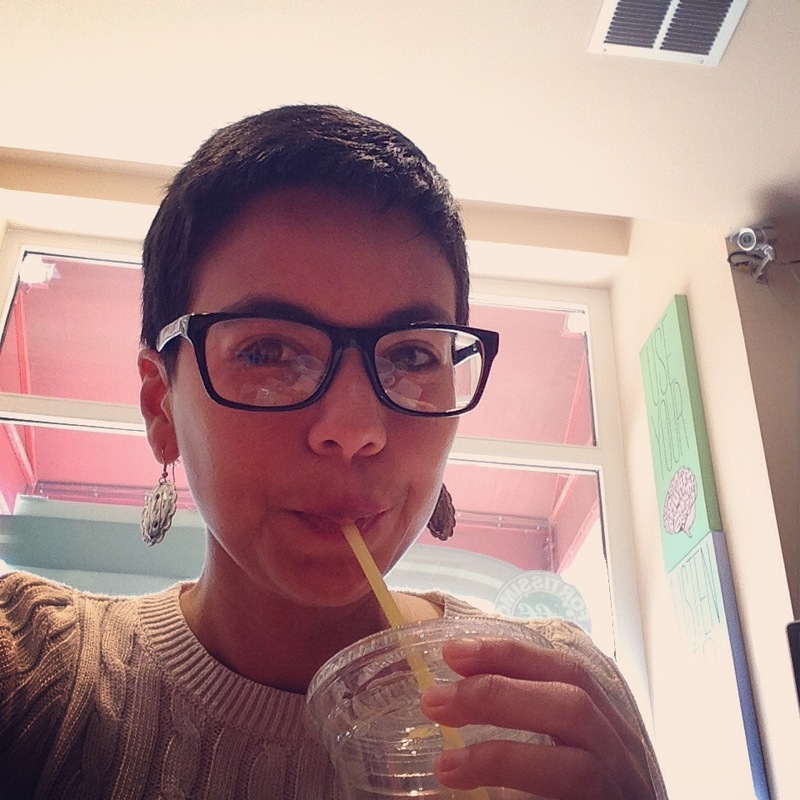 AUTHOR & ILLUSTRATOR: Raquel M. Ortiz was born and raised in Lorain, Ohio, and has been making art and telling stories since she was little. She holds a Ph.D. in Social Anthropology from the University of Salamanca and has worked at The Brooklyn Museum, the Allen Memorial Art Museum and El Museo del Barrio. Raquel is the author of El Arte de la Identidad, the documentary Memories of the Wall: Education and Enrichment through Community Murals and textbooks and educational materials for children in Puerto Rico and the United States. She lives in New York City with her family and is a professor at Boricua College. Maria Dominguez moved from Cataño, Puerto Rico to New York City when she was five year old. She began her artistic career as a muralist with Cityarts in 1982. Over the past twenty-five years, Dominguez has created over twenty public art murals and worked with the Metropolitan Transportation Authority of New York City, Artmaker, Inc. and Brooklyn Connect. The recipient of grants from the National Endowment for the Arts and the New York Foundation for the Arts, she has also headed El Museo del Barrio’s Education Department. She currently teaches art in New York City’s Public School System. 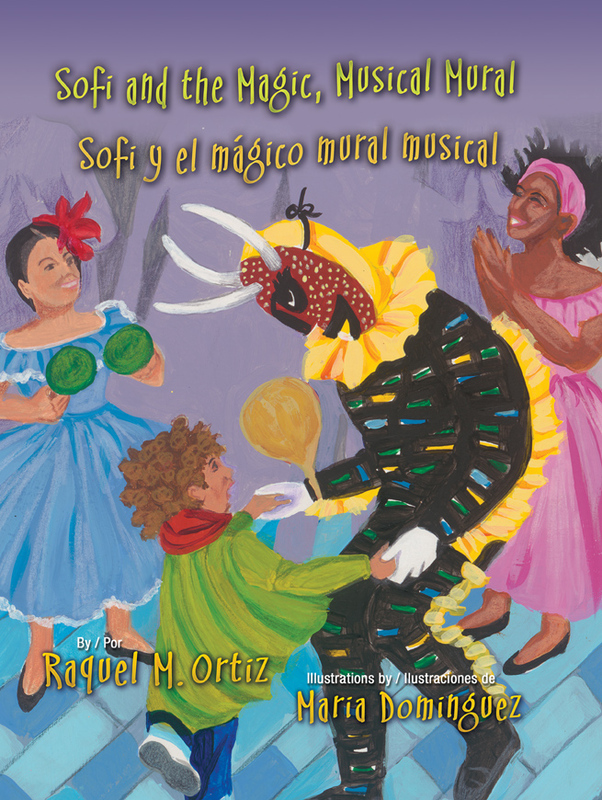 FOR MORE INFORMATION about Sofi and the Magic, Musical Mural/Sofi y el Mágico Mural Musical, check your local public library, your local bookstore or IndieBound. Also, check out Goodreads, Amazon, and Barnes & Noble.